The old 1356 horsepower record is so last month. 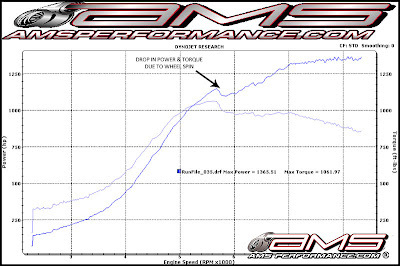 It seems just like last week that Nissan GT-R's were just barely into the 1200 awhp(all wheel horsepower) range. They grow up so fast. Even with some big wheelspin, this AMS Alpha 12 has managed to add 9 horsepower to that 1356awhp figure and come up with 1365 horsepower. Seems to be a lot out of that little aluminum turbocharged V6. The rumors say the engine in the Alpha 12 is a 4.0 liter. Not as large as the 4.3 and 4.4 liters from Greddy/SP Engineering, not as small as the 3.8's from Switzer. 0 smoothing. Just the raw numbers. From what they say, they are working on getting more power out of the setup, and even an Alpha 16 package. 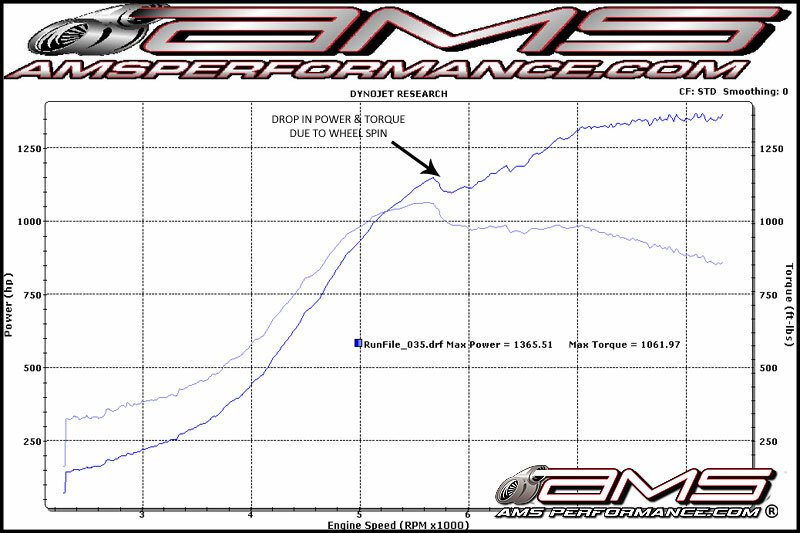 1400 hp is not far away, but they will need it to hang with the new 3.04 second 60-130 time from the 1550 awhp UGR Gallardos. GTR vs Lamborghini. Battle of the big power, twin turbo, all wheel drive cars. Who is going to be the first into the 2's from 60 mph to 130 mph? Seems like the Lambo's are right there, they just need a good air, good traction night.